Aimed at non-techies, and written in concise, jargon-free language. 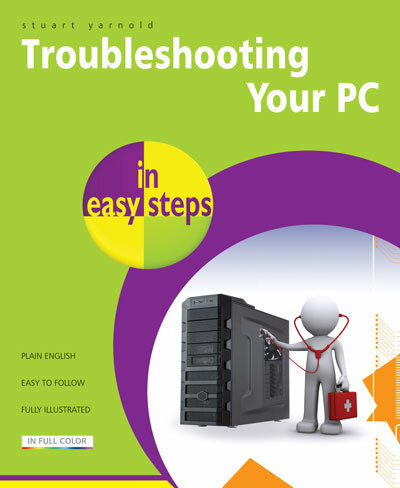 Keep it nearby and use it as your first point of reference for troubleshooting any PC problems. Does your computer refuse to do what you want it to? Does it insist on doing something you don't want it to? Does it refuse to do anything at all? One solution is to ring a helpline. However, this can be expensive and don't always give good advice. A better option is to invest in a copy of Troubleshooting Your PC in easy steps. • Faults that prevent Windows from starting. • Restore a damaged Windows installation from an image backup file. • Video and sound issues such as blank monitor, scrambled displays, incorrect screen colours, and distorted displays, no sound, crackly sound etc. • The Internet: include access problems, slow connection speeds, how to repair Internet Explorer, and how parents can protect their children from the less savoury aspects of the Internet. We also offer some tips on how to search the Internet effectively. • Computer peripherals and how to troubleshoot them. 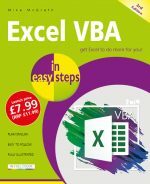 Written in concise, jargon-free language, this book is aimed at non-techies. Keep it nearby and use it as your first point of reference for any PC problems.